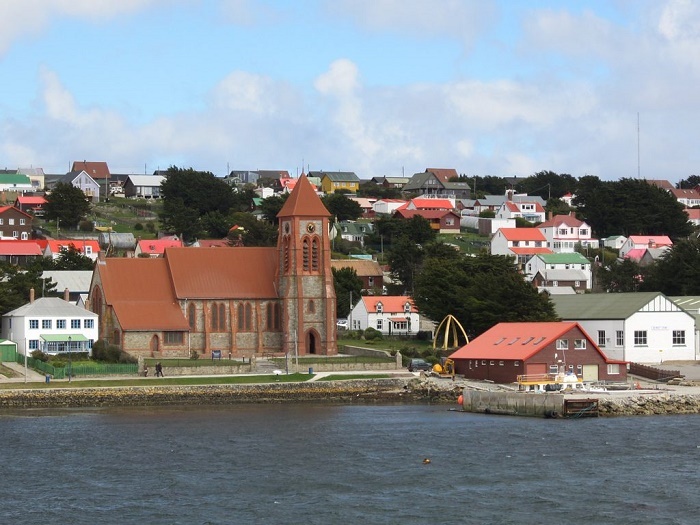 Christ Church Cathedral is the southernmost Anglican cathedral in the world, located in the capital city of the Falkland Islands, Stanley, a British Overseas Territory in the South Atlantic Ocean. 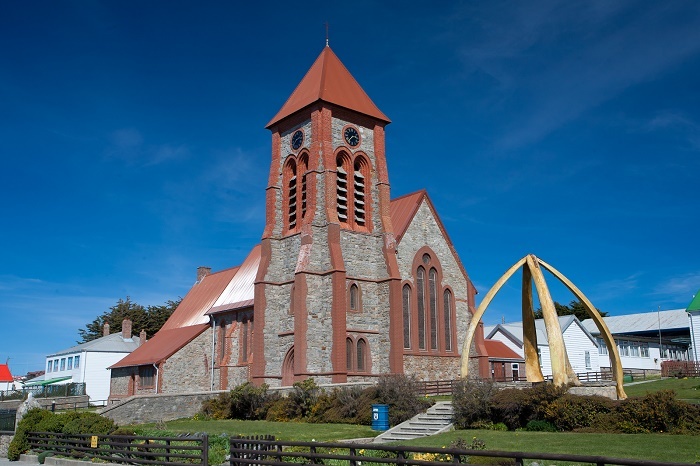 As one of the most impressive and most beautiful buildings in the Falkland Islands, it was consecrated in 1892. 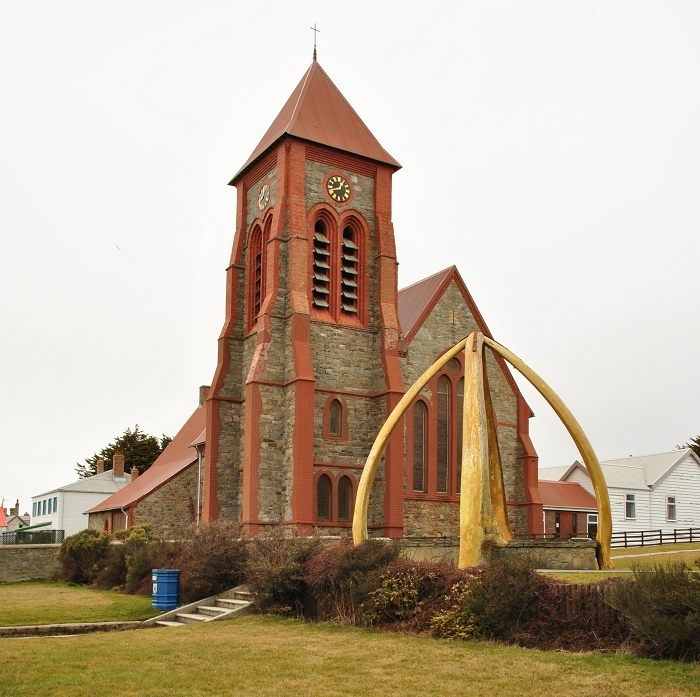 The Cathedral was designed by Sir Arthur Blomfield, and built between 1890 and 1892, on the site of Holy Trinity Church, which was destroyed by a peat slip in 1886. 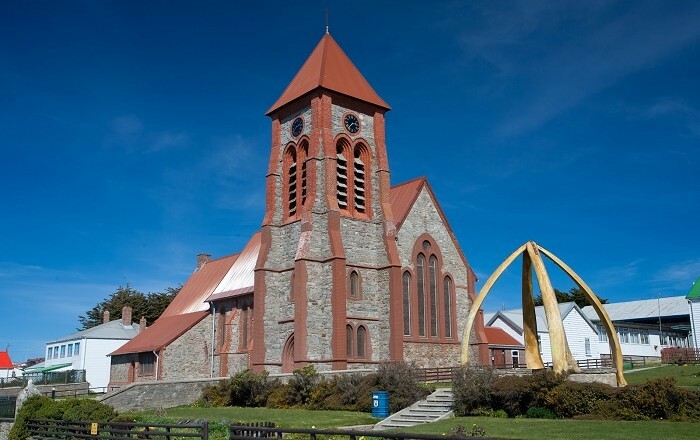 Although it has pretty much basic design, with the stained glass and attractive wooden chancel screen it allures people to get there to see it in person. 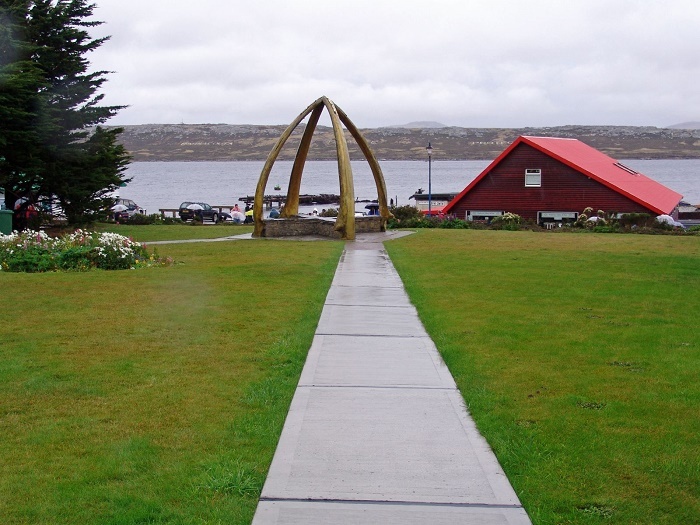 Some are even saying that it is much more beautiful than the Government House. 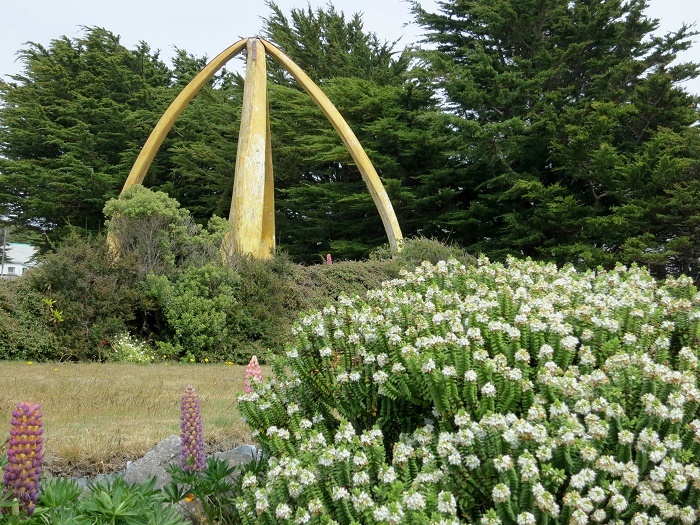 Easily visible to cruise passengers as they make their journey to the shore, it is built of naturally coloured local stone, red brick and corrugated iron. 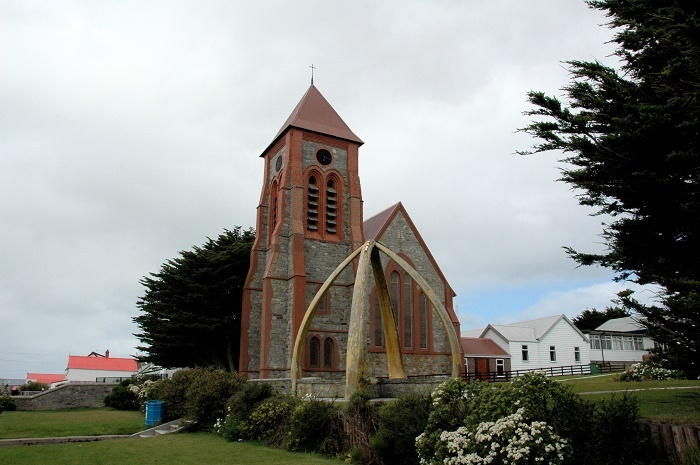 There is a bell tower containing five bells which are rung before each main Sunday service. 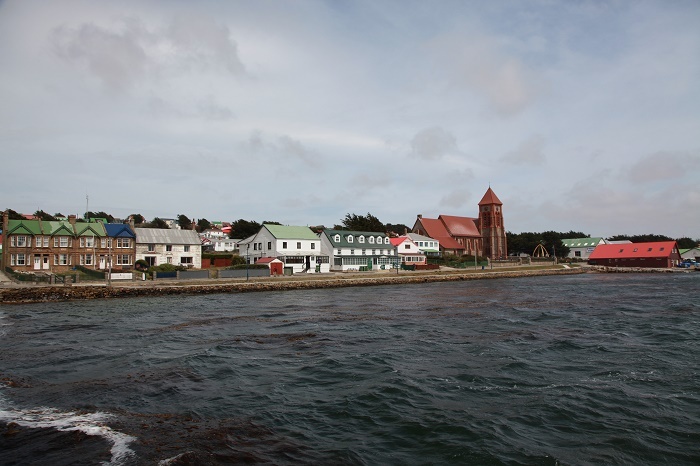 Tall trees hide the main frontage, although from time to time they are being trimmed as the preservation of old trees is a high priority for the environmentally conscious Falklanders. 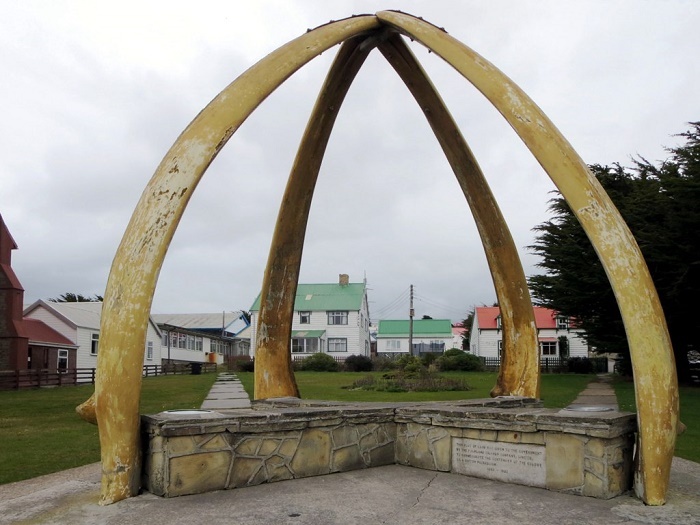 The interior bears a number of reminders, in the form of plaques and flags, of the events of 1982 and of the “liberation” of the Falklands from Argentina by British forces. 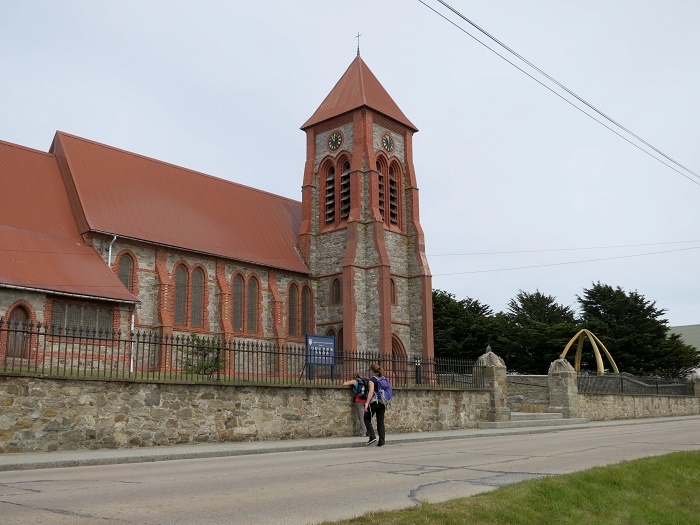 The pipe organ is still played regularly at services and special occasions including services to commemorate Liberation Day (14th June), Remembrance Sunday (nearest Sunday to 11th November) and Battle Day (8th December). 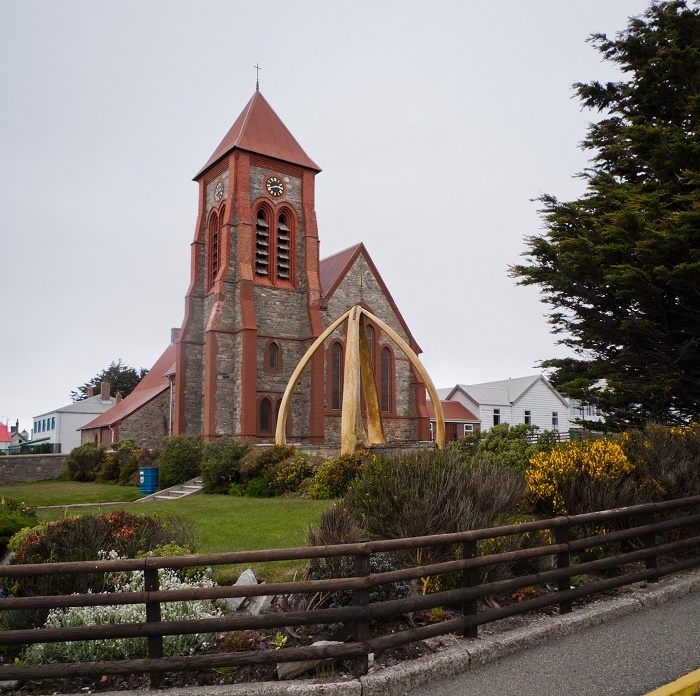 In the front of this church stands a monument (a whalebone arch), made from the jaws of two blue whales. 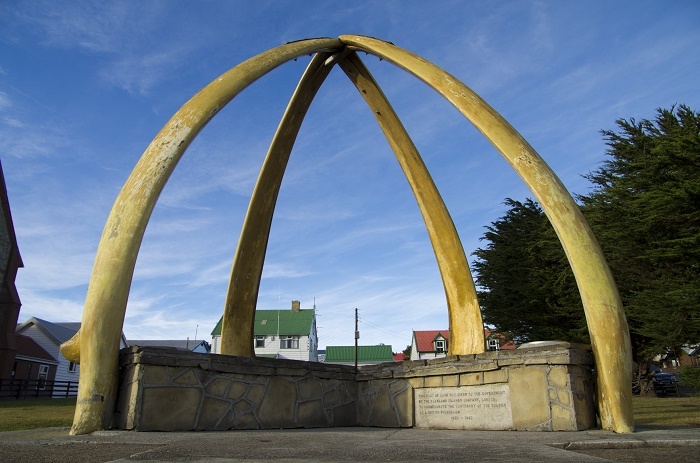 The monument was raised in 1933 to commemorate the centenary of the British rule in Falkland Islands. 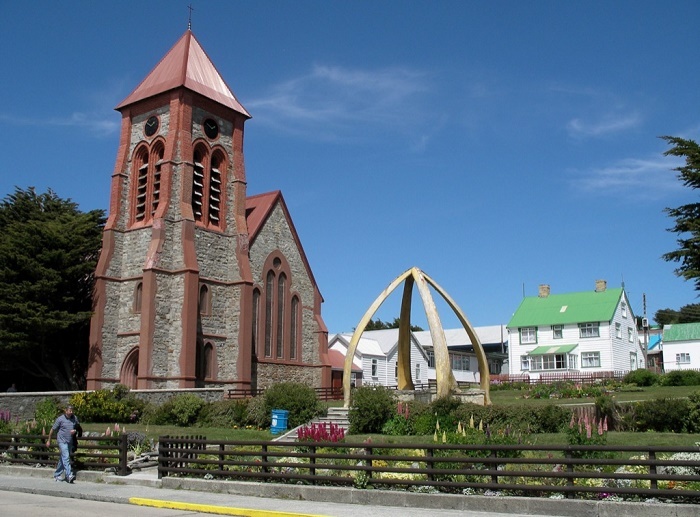 With the tourism peak, the Falklanders will tell you that this Cathedral is one of the main attractions that the islands could offer.